The glitz! The glamour! The Globes! The 69th Annual Golden Globe Awards hosted by comedian, Ricky Gervais, were full of stars searching for color! This past weekend at a luxury location in Beverly Hills, celebrities viewed the luxurious Omi Gems jewelry collection. Michael O’Connor, jewelry expert from Style & Substance, was on hand at the private event to show celebrities the hottest jewelry trends of the New Year. Award-winning actress Julie Benz from Showtime’s “Dexter” was blown away by Omi Gems 20 carat Ceylon sapphire and diamond ring. Julie Benz from television's "Dexter" was glowing from Omi Gems designs. 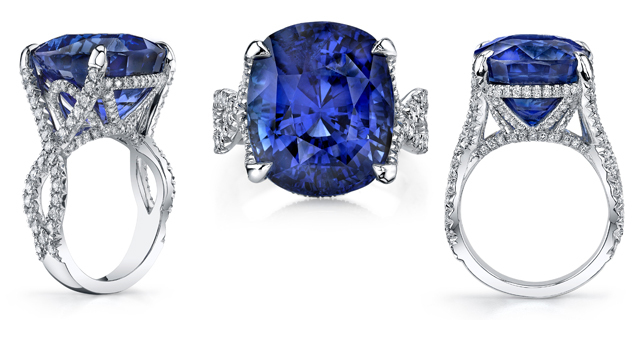 20 carat Ceylon Sapphire and diamond ring set in platinum. 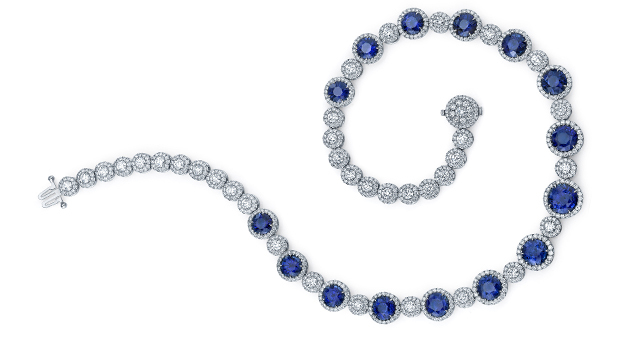 Sapphire and diamond necklace handcrafted with 40.78 total carats of sapphires accented with 16.04 carats of brilliant diamond rounds. Later in the day, Kate Linder, famed actress from television’s “The Young and the Restless” shined in an internet segment for OCTV while wearing Omi Gems sapphire & diamond necklace and ring. Kate Linder from "The Young & The Restless"
This entry was posted in Celebrity, Press, Trends. Bookmark the permalink. Omi Gems on California Corundum!? Jim Book on California Corundum!? © Copyright 2009 Omi Gems. All rights reserved.